Slovenia is often called one of the best-kept luxury camping secrets within all of Europe. A varied geography, a wealth of natural resources and a true plethora of holiday camping sites enable this country to represent a dream come true for countless families and holidaymakers. LUX-Camp will be pleased to answer any further questions upon request. 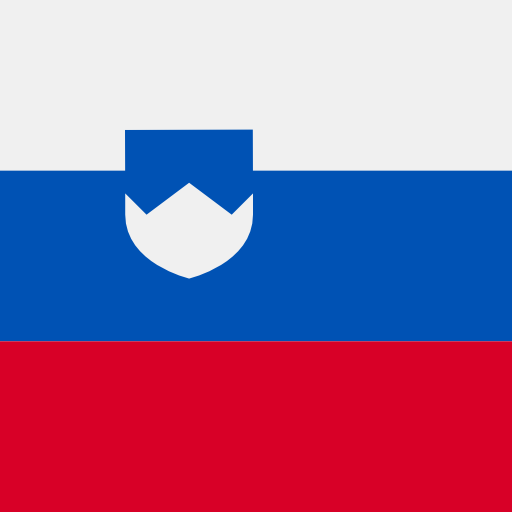 Why Should My Family and I Visit Slovenia? An abundance of outdoor activities to experience. Cities abundant in history and culture. Parks and luxury camping sites ideal for the entire family. erranean-style beaches dominate the south while the towering Alps have come to define the northern inland portions of Slovenia. These qualities have enabled hundreds of holiday camping sites to flourish over the years. Anyone searching for a variety of climates and locales to choose from will not be disappointed. The Slovenian Riviera is certainly not to be missed. The stunning 46 kilometres of silver sand and azure waters attract countless visitors each year. However, those looking for peace and quiet could instead choose to frequent the luxury camping sites found within the central plateau. Skiers and fans of hiking are likewise attracted to the Julian Alps perched along the northern edges of this country. There are tens of thousands of different species of animals found within Slovenia. The Eurasian lynx, the jackal, the Alpine deer and the red fox are some examples of what many visitors can encounter. As Slovenia is currently the third-most forested country in Europe, oak, beech, fur and pine trees have come to define this landscape. Still, the beaches here should not be missed. A rather diminutive coastline hides the true majesty of the many bays, coves and private areas to be experienced. The waters here are notably warm and calm; perfect for families on holiday. Family-oriented activities represent a sizeable portion of the attractions to be found here. Arguably, the most famous is Tivoli Park. 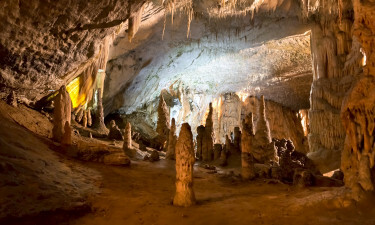 Other destinations include The National Museum of Slovenia and Volcji Potok Arboretum. The Kamnik-Savinja Alps and the Zelenci Nature Reserves are excellent examples of nature at its most wild. 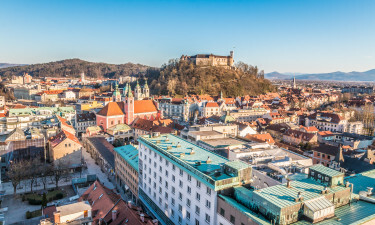 When visiting Ljubljana, fans of architecture will marvel at examples of Baroque and Art Nouveau buildings. Other major sites include Triglav National Park, the picturesque southern town of Piran and the Vogel Ski Resort. Offering an eclectic mix of Balkan and Mediterranean dishes, Slovenian foods are defined by their rich use of meat, fish and soup. Roasted potatoes are common and this country is unique in the fact that it is known to offer over 40 different regionally specific cuisines. Major wine-producing regions include the Lower Sava Valley and the Littoral. Monastic wine-making traditions have carried over to the present day and many tasty varieties can be enjoyed. The inhabitants are very friendly and known for their hospitality although the percentage of English-speaking Slovenians is notably lower when compared to other European countries.